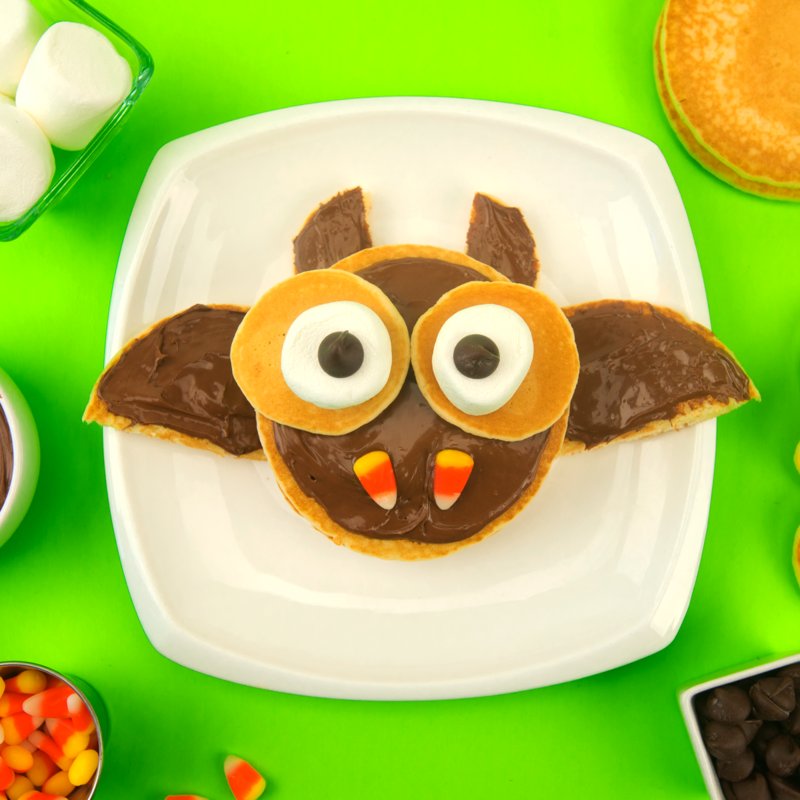 Celebrate Halloween any day with these especially spooky bat pancakes. Your little ghouls will go absolutely batty for these tasty treats! Once pancakes have cooled, cover the first Buttermilk Pancake with chocolate hazelnut spread to make the body. Then, split the second Buttermilk Pancake in half, cover in hazelnut spread, and place at the sides of the first pancake for the wings. Cut one of the Mini Pancakes in half, cover both halves in hazelnut spread, and then pace above the Buttermilk Pancake body to form the ears. Next, place two mini pancakes near the top of the body, and then add marshmallows on top of those and chocolate chips on top of those to form your bat’s eyes. Finally, place two pieces of candy corn on the bottom to form the teeth. With that your bat is complete, but don’t blame us if your kids get a sweet tooth!